On January 20th, 2017 take a stand against the man: The orange ableist, classist, homophobic, Islamophobic, misogynist, racist, sexist, transphobic, and xenophobic man that is about to be inaugurated as President of the United States of America. Award-winning artist, activist, and academic Ricardo Gamboa will debut his live news show and podcast recording The Hoodoisie as an alternative to Friday’s Inauguration. As if the Jon Stewart Show got hijacked by revolutionary people of color from Chicago’s working-class communities, The Hoodoisie is a bi-weekly news show that aims to delivers “block-optic” and radically politicized takes on news and current events. Roundtables activists and comedians, stand-up, interviews with local politicians and activists, and musical guests aim to infuse and old form with new mission. 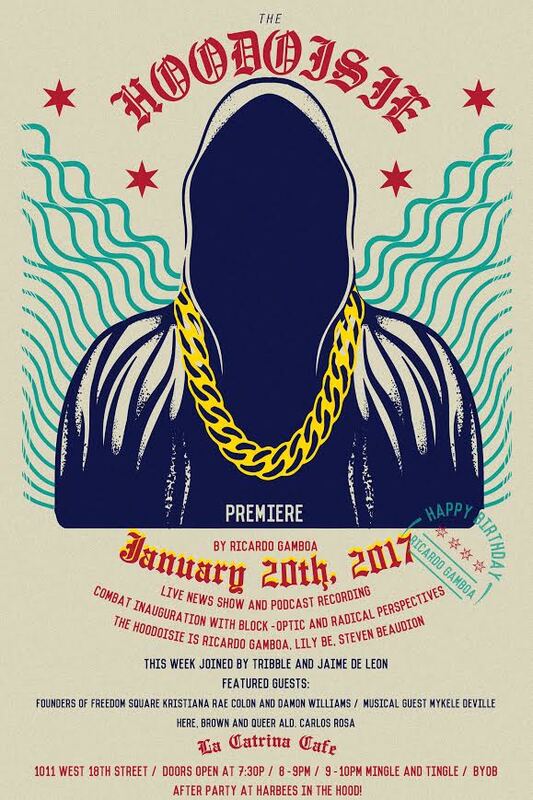 The Hoodoisie will take place in a different gentrifying neighborhood every month and launches this Friday, January 20th in Pilsen at La Catrina Café. Gamboa will interview Alderman Carlos Daniel Rosa and the activist founders of this summer’s Freedom Square occupation Kristiana Colon and Damon Williams. Gamboa will joined by resident Hoodoisie members storyteller Lily Be and actor-comedian Steven Beaudion as well as activist-comics Jaime De Leon and Tribble. 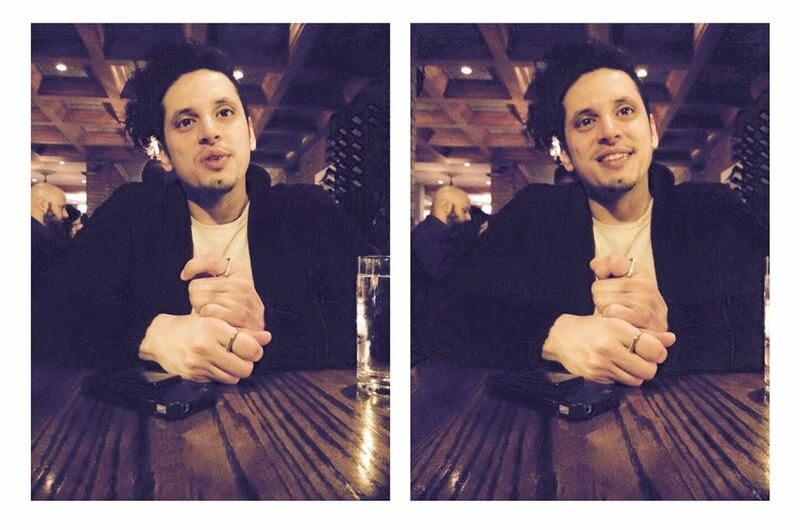 Ricardo Gamboa is an artist, activist and academic working in his native Chicago and New York City. In Chicago, he is a company member of Barrel of Monkeys, Southside Ignoramus Quartet and Free Street Theater. He is the founding Artistic Director of Teatro Americano and founding adult partner of the controversial youth ensemble The Young Fugitives. In New York, he was a fellow of the Hemispheric Institute of Performance and Politics EmergeNYC program, company member of the New York Neo-Futurists, and has performed at a range of institutional and underground venues. He is a graduate of the University of Illinois, Urbana; received his Master’s in Arts Politics from New York University’s Tisch School of the Arts; and is currently pursuing his doctorate degree in American Studies at NYU’s Department of Social and Cultural Analysis. His short film “The Southside Has Many Beauty Queens” was winner of the Best Short at Chicago Latino Film Festival and his feature debut “Maydays” received standing-only crowds and critical praise from the festival. Gamboa is the winner of several awards, fellowships and grants including a MacArthur Foundation International Connections Award and Latino ImPACT Playwrights Award. He was a finalist for Sundance Film Festival Latino Film Fellowship and Latino Screen Writing Project. He is a Critical Collaborations Fellow at NYU’s Global Network University (2016- 2018). This year he was awarded a prestigious Joyce Award. He has worked with over 5,000 young people in the United States and Latin America.